When it comes to the future of cars, most people think immediately of autonomous vehicles, like the kind Uber and Google are constantly talking about. And while there is promise in the prospect of fully autonomous cars, recent “incidents” have demonstrated that we’re still a long way from truly driverless vehicles. But while we may be some time away from a driverless future, the intersection of artificial intelligence and vehicles is very much here. In fact, there are all manner of automated safety systems already in use in cars, with increasingly sophisticated ones being developed every day. And the good news is that these safety systems are saving lives. A variety of studies have shown that automated safety mechanisms available in most new vehicles are having a direct impact on automotive safety. 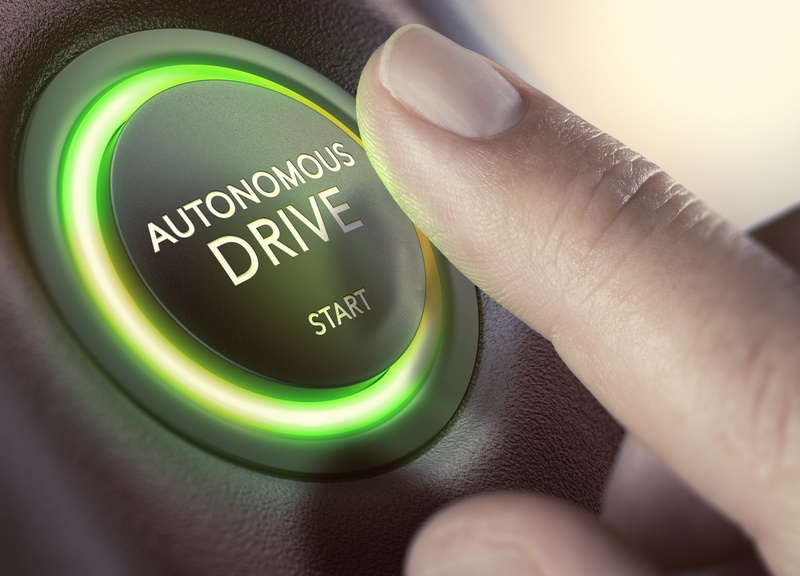 To clear up some of the confusion and dispel some of the fears, let’s break down the various levels of vehicle automation and then evaluate where things currently stand. There are actually five different levels of vehicle automation, with fully automated being the very last. Most new cars (2015 on) fit into this category, where the human driver is responsible for the safety and operation of the vehicle but the car can take control of at least one significant function, such as steering or speed control. Adaptive cruise control is a prime example of Level 1 automation. Under Level 2 automation, the driver is still responsible for the safety of the vehicle, but the car can take control of steering, braking, or accelerating under certain conditions. However, the driver is still expected to be the one in control. Tesla’s Autopilot system fits the bill here. A Level 3 car can drive itself, but a human driver is still required to be in the car and be ready to take over at a moment’s notice. If intervention is needed, the car is supposed to alert the driver. Check out the Audi A8 - AI traffic jam pilot, which enables highly automated driving at Level 3. At Level 4 automation, a human driver is still present but has given control of the car to the computer. The driver is not required to pay attention unless notified by the car, and if the car determines that it’s not safe to continue it will pull over and turn off. At this level of automation, a car controls itself in all circumstances. There is no expectation of human intervention, and things like steering wheels, brake pedals, and accelerators are unnecessary. This truly is an automated, autonomous vehicle. Where Are We Now and What’s Missing? It will still be a number of years before Level 3 and Level 4 vehicles are widely available, with Level 5 automated cars taking even longer still. So where are we now in terms of automated vehicles? All of these safety systems are valuable and are helping to reduce the number of traffic accidents that occur each day. But there is one glaring problem with all of these systems: they monitor the car, not the driver. In other words, the automated safety systems are outward focused, monitoring blind spots, forward collisions, rear traffic, etc. None of them monitor the driver. And given that 94% of all fatal traffic accidents are caused by driver error, this is a glaring omission. Lane departure and blind spot warnings are helpful, but they don’t address the root causes such as driver fatigue or distractedness. What’s truly needed is a sophisticated driver monitoring system that can detect, analyze, and respond to a driver’s cognitive state. 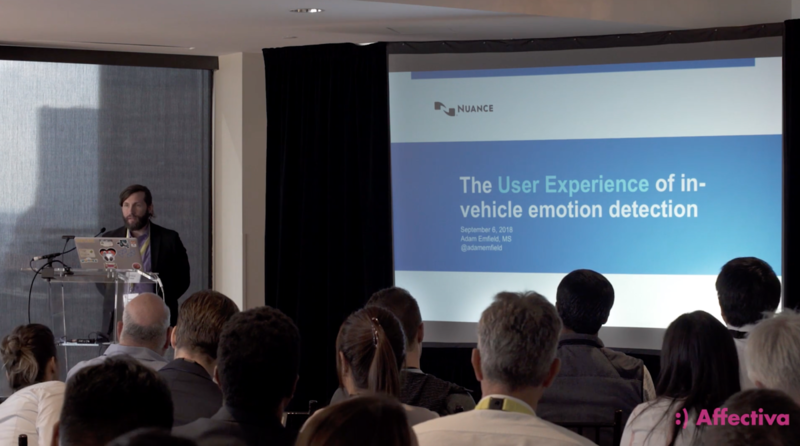 Affectiva Automotive AI is a complex deep learning algorithm that detects, understands, and then responds to a variety of human facial expressions and cognitive states. 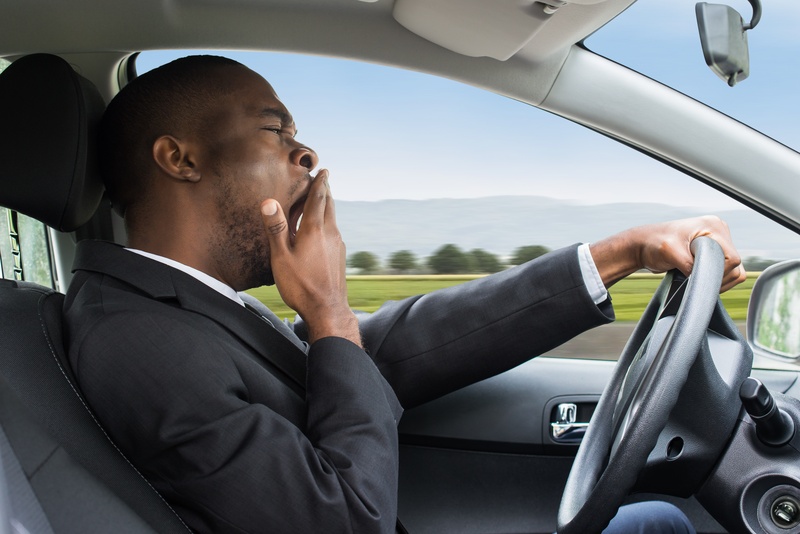 Using source data from our database of over 7 million videos from 87 countries, plus additional video from numerous partner drivers and internal data collection initiatives, we’re enhancing driver monitoring systems to react to driver states like drowsiness and distraction. 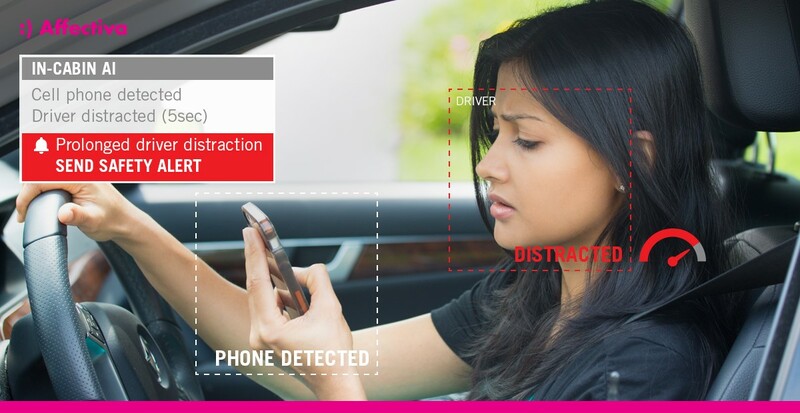 Leveraging available sensors in the cabin of a vehicle, Affectiva Automotive AI constantly monitors the driver and all passengers to evaluate their cognitive states. Informed by a comprehensive understanding of driver & passenger state, the car then automatically responds based on the analysis. You’re a new parent and you need to do a midnight diaper run. You’re definitely getting sleepy. 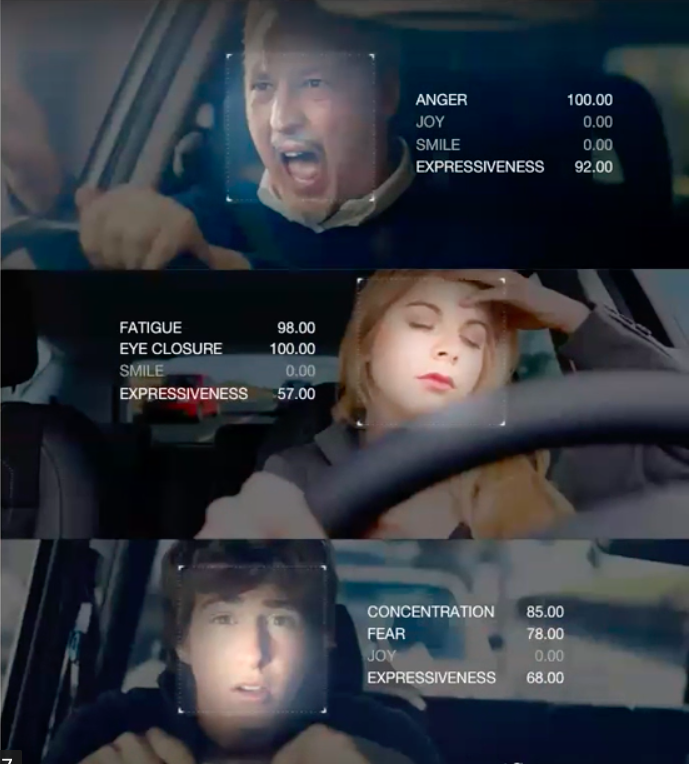 The car’s driver monitoring system augmented with Affectiva Automotive AI detects this and issues a warning, encouraging you to pull over and get some coffee. You’ve just come out of a frustrating meeting at work and, without thinking about it, start driving faster than normal. Noticing the frustration on your face, your car automatically begins playing soothing music. Your phone starts ringing while you’re driving. Your car automatically notices that you’re distracted and offers to answer the phone for you and pipes the sound through the speaker system. This kind of AI-powered driver monitoring system offers peace of mind that standard safety mechanisms simply can’t. Yes, you certainly need blind spot and forward collision warning systems, but those aren’t enough. To be fully at ease, you need a safety system that constantly understands you - the driver. 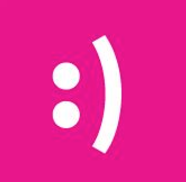 That’s why we have built Affectiva Automotive AI. 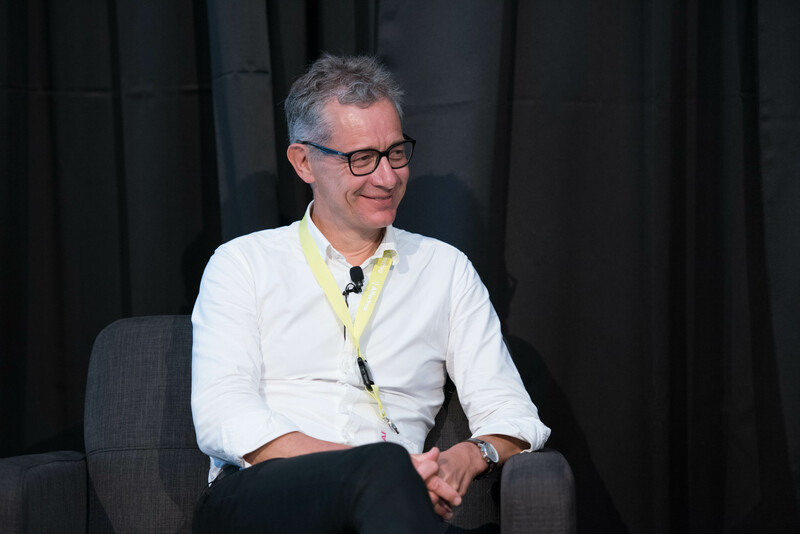 We truly believe that AI offers the opportunity for truly safe, fully optimized driving experience. The simple fact is, truly automated cars are a long way off, and being able to feel safe in them is even further off. We need something now, and we’re on the job.